Treating your gums early can reduce your risk of more severe dental issues. Untreated gingivitis that worsens can lead to periodontal (gum) disease. Millions suffer from gingivitis. It's the most common form of gum disease and can lead to tooth loss. Gingivitis begins with poor or lacking dental hygiene. Oral plaque forms on your teeth and hardens into tartar. Hardened tartar is difficult to remove from your teeth. Bacteria growth is the main threat to your oral health as a result of not removing the plaque and tartar from your teeth. Your gums become irritated and infected by the plaque build-up on your teeth. The bacteria can enter your bloodstream and threaten your overall health including heart disease and stroke. Gingivitis is treatable. It's vital that you keep your teeth and gums healthy with daily oral health habits (brushing and flossing) and routine teeth cleanings to remove the harmful plaque and tartar from your teeth. Red, swollen gums are an indication that gingivitis is present. Other symptoms include bleeding gums and a noticeable change in the color of your gums (pink to red). Any of these symptoms are an important signal for scheduling a dental examination. Delaying treatment can cause gingivitis to worsen and lead to other gum disease issues. This more severe form of periodontal (gum) disease can be destructive to your gum and bone tissue. Tooth loss can follow lack of treatment. Early periodontitis is similar to gingivitis. Your symptoms can include bleeding gums, sensitivity to hot and cold, persistent bad breath, and loose teeth. Progressive and advanced forms of periodontitis can begin to do irreparable damage to your teeth and gums. Bone loss, receding gums, and tooth loss can occur if you delay or postpone treatment for advanced forms of periodontitis. Professional deep cleanings are the first step to treat gum disease. A scaling and root planing procedure are effective for removing harmful plaque and tartar from the surfaces of your teeth and beneath your gum tissue. 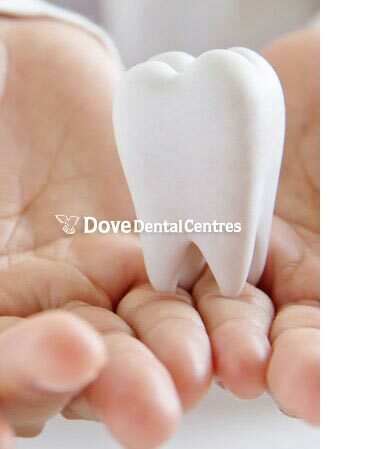 Maintain consistent oral health habits with daily brushing and flossing. Schedule dental examinations and teeth cleanings a minimum of two times per year for observation and early treatment of gingivitis.